In late October of 1941, Walt Disney released Dumbo. Adapted from a children’s book by Helen Aberson and Harold Pearl (with illustrations by Helen Durney), the plot centers on a young anthropomorphic circus elephant ridiculed for his big ears which actually gave him the ability to fly. Despite its undeniable and lasting charm, I struggle to view Dumbo, produced for $950 thousand with a mere runtime of 64 minutes, as anything but an urgent (and successful) economic response to Pinocchio and Fantasia, both of which disappointed commercially thanks in large part to the onset of World War II in Europe. One could argue, though, that these constraints on the original film end up justifying a live action update more than most of Disney’s derivative output as of late (see here). 2019’s Dumbo, helmed by visionary director Tim Burton, thankfully manages to vindicate that suggestion. It is clear that 2019 had two main objectives—to retell the original story in fresh way and to add more it somehow. It impresses me how Burton and screenwriter Ehren Kruger achieve the first objective in roughly the first third of 2019’s 112-minute runtime. They establish the touring Medici Bros. Circus, led by exuberant ringmaster Max Medici (Danny DeVito). The First World War’s end sets up in a straightforward way the circus’ current financial struggle and Medici selling the horses while buying the pregnant Jumbo. The wake of the Spanish flu epidemic also explains the off-screen loss of equestrian performer Annie Farrier (among others) and leads into the awkward and bittersweet reunion of the late Annie’s equestrian performing partner and now one-armed war veteran and widower Holt Farrier (Colin Farrell) with his two children. (The versatile Farrell’s Kentucky accent is the third accent he has donned in the now three movies I have reviewed of his.) Instead of Timothy Q. Mouse (whose likeness gets a nice cameo), it is aspiring scientist Milly Farrier (Nico Parker) and younger brother Joe (Finley Hobbins) who encourage Dumbo with a feather and the promise of reuniting him with his mother—an understandable path to catharsis for losing their own mother. Lastly, despite the jarring omission of week-long flying rehearsals mentioned in passing, Dumbo flying in public for the first time to punctuate the botched clowns and mock burning tower act is as exciting as it was, not just in the trailers, but in 1941, where this scene served as that film’s climax. 2019 completes the second objective of padding the original plot in like adequate fashion—not just retelling 1941, but effectively giving it a sequel as well. As the last third of the mini-Batman Returns reunion to enter the frame, Michael Keaton hits more than misses when channeling stuffy, East Coast, and pre-Roaring ‘20s pretension as the owner of the amusement park Dreamland. Meanwhile, Eva Green (in her third Burton outing) gets to display a spark-filled yet chic compassion as Colette, a French trapeze artist whom Vandevere tasks to ride Dumbo as he flies for Dreamland attendees. It warms my heart to see that Ms. Green has found, other than Showtime’s recently-completed Penny Dreadful, a steady gig to mark her career after her now distant breakthroughs in 2005’s Kingdom of Heaven and 2006’s Casino Royale. Finally, it felt good to have dominate the third act a heist that involves the rest of the Medici circus troupe, of whom the movie featured little early on. Two more comparisons between 1941 and 2019 are worthy of note: Since 2019’s animals look and behave photorealistic—apart from Dumbo’s flying, of course—they do not get lines. Burton & Co. could not simply repeat 1941’s introductory stork delivery of newborns, which itself is too fantastical for 2019’s aims. 2019 handles this by having the storks pass over the circus one night, with one stopping by the expecting Jumbo in her train car and making eye contact with her before flying away, almost like a whisper—different, yet oddly stirring. Then there is 1941’s “Pink Elephants on Parade” sequence, which—while undeniably awesome—defines the word “filler” the most in a feature already straining to extend past an hour. 2019 succeeds in discouraging the unintended consequences of that infamous yet unforgettable sequence (“Champagne for Dumbo!” “No booze near the baby.”). 2019 also pays tribute to it by incorporating a brief yet mystifying Dreamland “pink elephants” bubble act, which thoroughly entertains Dumbo, on deck for his flying show. No, it does not, nor will it ever, replace “Pink Elephants on Parade”. Yet in light of the original being, in all its iconic and overwhelming terror, blatant and undeniable filler and in light of our modern age where lighthearted portrayals of any substance abuse probably should remain taboo in family entertainment, it is enough. 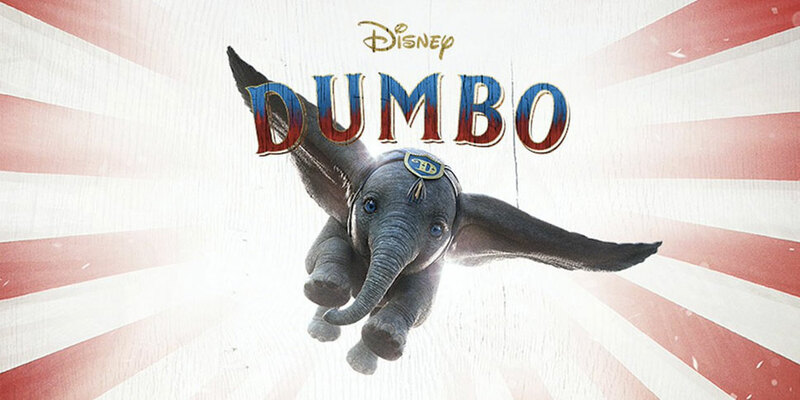 Several factors contribute to the natural apprehension towards Dumbo by Tim Burton—it being the second of nearly a dozen Disney releases in 2019, the overall mixed critical and fan reception of Disney’s modernized adaptations, Disney fatigue and Tim Burton fatigue in general, and lifelong Disney fans loving the 1941 original. Yet while I do not ever see myself re-watching, say, 2017’s Beauty & the Beast remake, Dumbo 2019 actually does re-tell, modify, and extend past 1941’s story, making both takes worthwhile in their own ways. With Tim Burton at the helm, the whole cast lends hands to inhabit a most glossy and extravagantly-crafted period setting, and the result leaves me feeling surprisingly pleasant and charmed. Captain Marvel left the gate and taxied Disney in 2019 to the runway, and now Dumbo sees Disney in 2019 gaining speed and achieving “wheels up”. We now await Avengers: Endgame to take the Mouse House above the clouds. Renard N. Bansale once aspired to become an astronaut, before he found his passion in film discussion, criticism, conducting script-reading sessions of feature film screenplays, and annual Oscar tracking. Hailing from Seattle, WA, Renard graduated from JPCatholic in 2016 with a B.S. in Communications Media (Emphasis in Screenwriting) and is currently pursuing his M.A. in Theology online at the Augustine Institute.